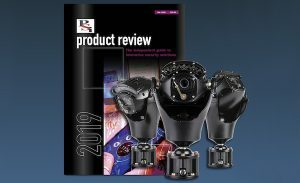 360 Vision Technology’s latest Invictus camera range was recently selected to appear in the annual PSI Product Review publication. A highly regarded specialist electronic security industry publication, PSI Product Review highlights the very best security equipment technology – as selected by the publication’s editor. Featured previously in PSI magazine in 2018, the PSI Product Review 2019 publication contains a mix of Editor’s Choice and Award Winner products.